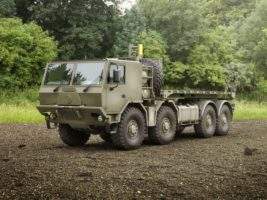 TATRA TRUCKS manufactures special vehicles with a unique chassis design, containing a central backbone tube with independent, air-suspended swinging half axles that enables heavy transport load and high-speed transportation on the most difficult terrain. 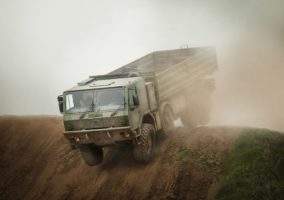 Thousands of TATRA vehicles with payload capacities between 10t to 33t and with 4×4, 6×6, 8×8, 10×10 and 12×12 drive systems serve in peace-keeping missions and combat operations around the world with durability, reliability and mobility. 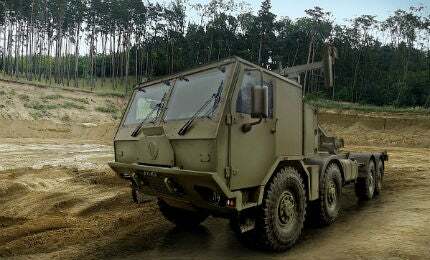 TATRA trucks are mostly used as cargo and troop carriers, as well as carriers of special superstructures for munitions, military electronics, radar systems and other sensitive materials and equipment. Trucks from the product line 815-7 can be transported by C-130 Hercules. 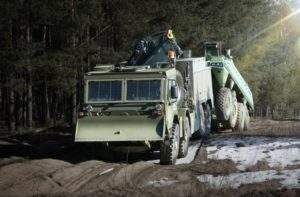 Thanks to TATRA’s cab design, these vehicles can be easily armoured under cost-efficient and user-friendly conditions. TATRA TRUCKS is going to introduce a higher level of armouring of their cabs. The very first logistic all-wheel-drive vehicle, configuration 4×4, with armoured cab Level 2 – 3a/3b, optionally Level 3 – 3a/3b, the STANAG 4569, was introduced at EUROSATORY 2014. 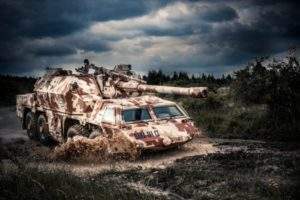 The armoured cabin has been designed from the ground-up, with an integrated blast management system and multi-layered scalable armour system. By placing the users at the centre of the development process and creating the protection system around them, the cabin offers very high levels of protection at low weight without compromising on comfort or usability. The new cab is equipped by power-assisted door opening and energy-absorbing blast seats. Thanks to supporting systems, such as central tire inflating system (CTIS), TATRA wheels equipped with tactical tires 16.00R20 with beadlocks and run flats, with the possibility to change the clearance on the fly, maximum speed 115km/h and gradeability 100% at 19,000kg gross vehicle weight (GVW), the vehicle is prepared for logistic missions in exposed areas. The new armoured cabin can also accommodate further configurations, from 6×6 up to 12×12. TATRA vehicles contain special features designed for the hostile conditions and rugged environments militaries worldwide face. 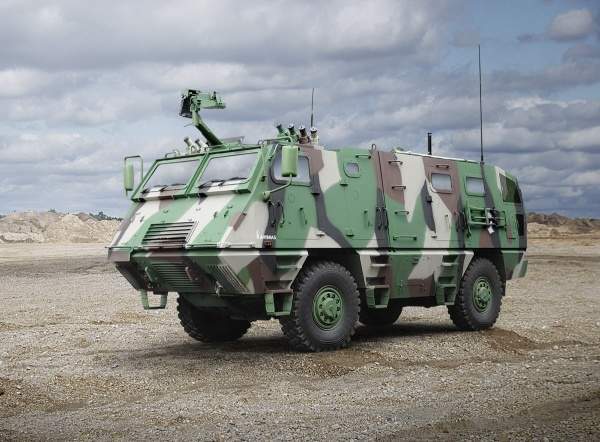 In addition to its unique chassis design and ballistic protection, the vehicles also provide protection against biological and chemical weapons, and a spacious cabin design. The suspension and wheels feature strong construction for excellent terrain manoeuvrability, while maintaining a high payload capacity. Since 1850, TATRA has been supplying the transportation solutions all around the Europe and based on this experience, leading militaries and humanitarian services worldwide has been supplied with TATRA vehicles that meet their stringent requirements. TATRA’s core production programme includes heavy-duty, off-road trucks and vehicles for combined off-road and on-road transport. 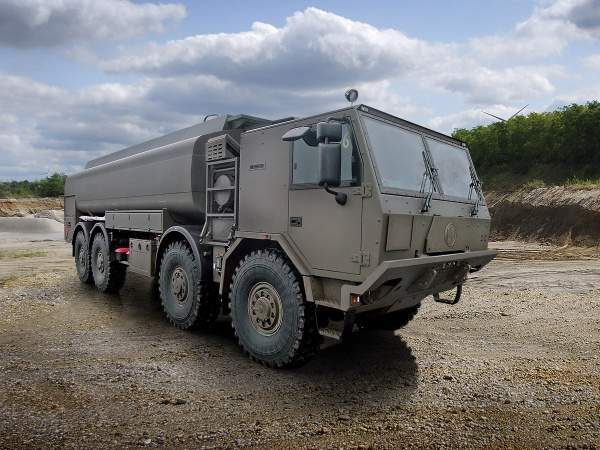 With its new ownership structure and management appointed in 2013, TATRA TRUCKS has worked to continuously increase its production of military, firefighting and commercial vehicles and upgrading its level of aftersales services. 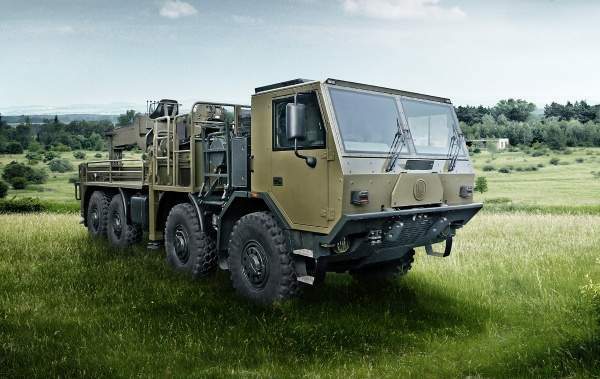 TATRA TRUCKS will be attending this year's International Defense Exhibition and Conference (IDEX) in Abu Dhabi between 19-23 February. TATRA TRUCKS will be participating at international defence exhibition Defexpo India 2016 between 28-31 March. 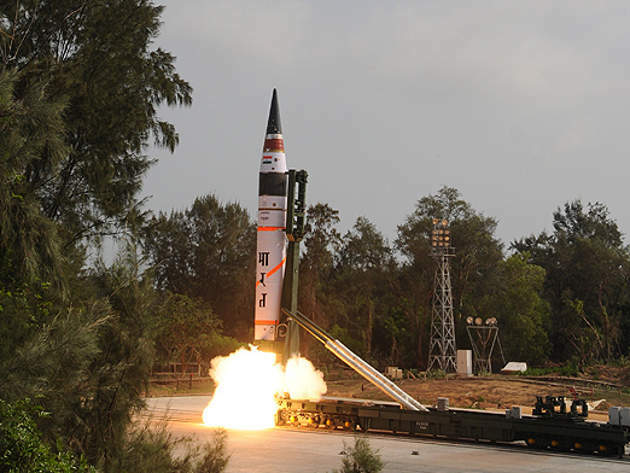 Agni-V is a long-range ballistic missile (LRBM) being developed indigenously by the Defence Research and Development Organisation (DRDO) of India. CZECHOSLOVAK GROUP (CSG) is a holding that builds on the tradition of the Czechoslovak industry, supporting and further developing activities of Czech and Slovak companies in the field of defence and civil industrial production. 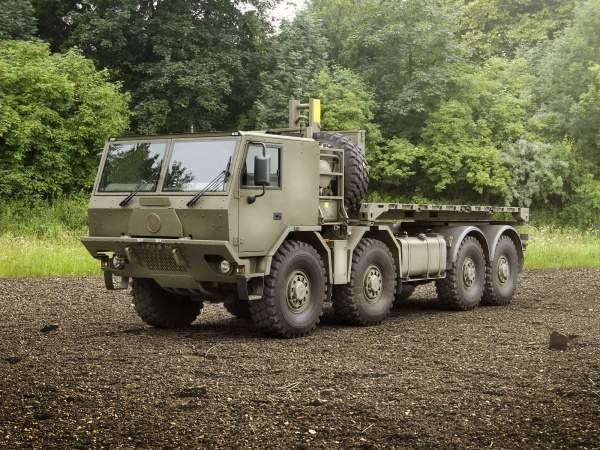 The Police Bomb Squad have received a new TATRA FORCE 8x8 vehicle from the Chief of Police, Brig. Gen. Tomas Tuhy. TATRA TRUCKS Inc. and NEXTER SYSTEMS have agreed to further strengthen their cooperation for the new state-of-the-art TITUS®, the multirole armoured vehicle based on a modified 6x6 TATRA TRUCKS chassis. 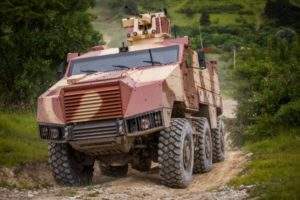 The new armoured vehicle TITUS® manufactured by the French producer NEXTER SYSTEMS utilises a TATRA heavy-duty, all-wheel-drive chassis, which gives it unique manoeuverability even in the heaviest terrain conditions. Czech heavy-duty truck manufacturer TATRA TRUCKS has made a successful comeback under control of new owners and new management, after years of poor performance under the previous shareholders. 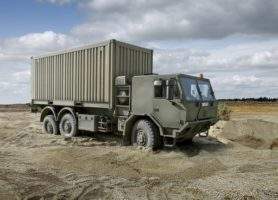 TATRA TRUCKS will introduce themselves at India’s DEFEXPO 2016 defence technology fair held between 28 - 31 March 2016, in Quitol, Goa, India. 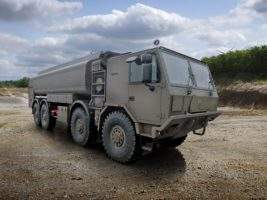 The company will introduce the new TATRA FORCE 8x8 vehicle series. On 19 February 2015, a Memorandum of Understanding between Czech company TATRA TRUCKS and Indian state enterprise BEML was signed in Bangalore, India. TATRA TRUCKS Inc. is approaching one of the most important exhibitions of defence technologies, IDET 2015, which will be held from 19 - 21 May in Brno, Czech Republic. TATRA TRUCKS will present itself for the first time at one of the most important defence exhibitions in the world, IDEX in Abu Dhabi.